QuadrigaCX customers are complaining they still can’t get their money out more than a month after the cryptocurrency exchange won a court dispute that had held up $19 million of funds. While that would be worrisome enough, users’ concerns were compounded by the company’s announcement Monday that its CEO and founder, Gerald Cotten, had died more than a month earlier. In a statement attributed to Jennifer Robertson, Cotten’s wife, the exchange said he died on December 9 from complications arising from Crohn’s disease while traveling in India. The same statement also said QuadrigaCX was working through a backlog of withdrawal requests and had set daily withdrawal limits. “While we don’t have a specific update pertaining to this situation, our goal was to resolve this issue within the next two weeks and we remain committed to that goal,” says the email, which was signed by Aaron Matthews, QuadrigaCX’s interim president and CEO. QuadrigaCX user and Canadian resident Xitong Zou told CoinDesk that he had filed multiple support tickets in recent weeks and received a response saying the withdrawal could take a week or two each time. “If only the [QuadrigaCX] customer support were better I think it could go a long way, and it’s not like they aren’t active,” he said. As a result, “there’s a bunch of warning bells going off in most people’s heads right now,” Zou said. QuadrigaCX did not respond to multiple requests for comment. When contacted by CoinDesk, a spokesperson for Global Affairs Canada, the government agency that manages diplomatic relations, appeared to confirm QuadrigaCX’s account of Cotten’s death overseas, but did not mention his name or give a date. Leclerc said he could not disclose any further information, citing Canadian privacy law, and did not answer follow-up questions by press time. When reached by phone, a spokesperson for the Indian Bureau of Immigration was unable to confirm that Cotten had been in the country. 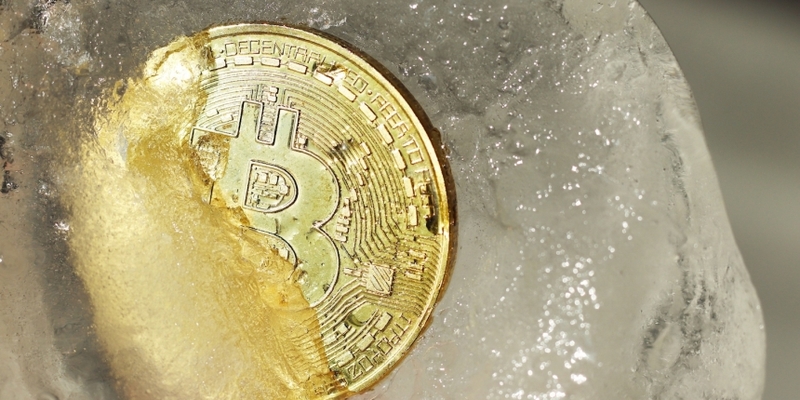 QuadrigaCX blamed the withdrawal backlog on its recently resolved court dispute with the Canadian Imperial Bank of Commerce (CIBC), which froze funds held by the exchange’s payment processor, Costodian, Inc., over concerns about their origin. While the Ontario Superior Court of Justice briefly took custody of these funds last year, Judge Glenn Hainey released the majority of them back – $70,000 in U.S. dollars and $25 million in Canadian dollars (about $19 million USD), less $200,000 that was withheld, according to a court document published in December. These funds were then frozen by the processor’s new bank, the Bank of Montreal, according to a statement by the exchange on Reddit. A subsequent update stated that the bank had released the funds, but said there would be another delay while Billerfy, a payment processor, endorsed the bank drafts. Billerfy and Costodian are both owned by Reyes, and were all listed as parties in the now-concluded legal fight. A number of QuadrigaCX customers have been complaining about withdrawal issues on social media platforms like Reddit and Twitter, with most claiming long delays – some several weeks or even months long – in receiving funds. Some users even say their open tickets on the exchange were marked as “complete,” despite the fact that they had not received their funds. Some withdrawal attempts were met with a “failed to send” message, a problem that interim president Matthews addressed in his Tuesday email to customers. He later added that all withdrawals “will occur in the advertised timeframes” of two weeks. Once the exchange has caught up on its backlog, QuadrigaCX hopes it “will return to normal operating levels regarding withdrawals and punctual timelines,” Matthews wrote. As part of this process, the exchange has instituted new withdrawal limits on U.S. dollars, Canadian dollars and cryptocurrencies, with different limits for differing levels of customer verification. “We did this to ensure service levels don’t get to the point where any backlogs or interruptions to banking services happen again,” Matthews explained. The exchange will also work to diversify the number of Canadian banks it works with, so as to ensure no single bank can freeze funds like CIBC again.